That said, well… I’m a fan. A big part of that is my inherent fondness for the concept of tournament itself—I like watching, organizing, and participating in them (even if the only one I’ve ever won is a doubles Scrabble with four participants…). There’s just a certain kind of pleasure I derived from predicting and analyzing match-ups, rooting for the sides I like, or channeling that good ol’ competitive spirit. You suffer through the tedium of practices, stress, and heart-breaking losses just because that feeling when you (or someone you root really hard for) win is easily worth it. 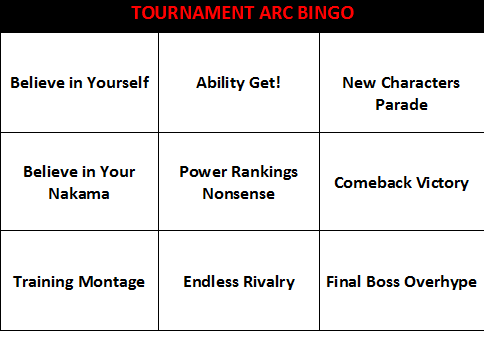 Granted, that doesn’t necessarily mean I love every single tournament plotline out there, especially as tournaments in animango tend to be more predictable and rote than even the Scottish Premier League. I love the well-executed ones, though! Not to mention that’s dissing tournament arcs practically means dissing the entire genre of sports series, which almost exclusively comprised of that. So, in tribute to all those brackets, victory cries, and railing underdogs, let me share a dozen of my favorite tournament arcs/plotlines! 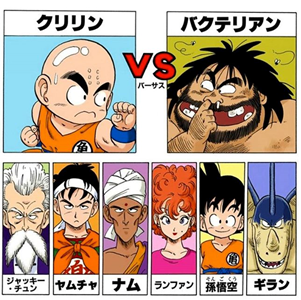 Being the most influential shounen series ever made, Dragon Ball’s signature tournament should be considered as the granddaddy of animango fighting tournaments. The format is exceedingly simple: one-on-one bare-handed combat in single elimination style, but the fun duels and endearing character design make them worked. Budokai is featured numerous times over the course of the series, but only the first three really mattered—the ones before later days when characters started to change their hair color, blast energy balls at each other, and literally blow up the entire planet. Whereas, early Budokai fights are more light-hearted in nature, chock-full of characters enacting amusing choreography, clowning on each other, and, er, literally blowing up the moon. It does get increasingly serious business later on, but whether it’s Kuririn overcoming Bacterian’s deadly body odor by not having a nose (??) or Goku duking it out with Piccolo in what considered by many fans as one of the best fights in the entire series, Budokai’s plenty of fun. I genuinely really like Naruto before it became, you know, Sasuke: Endless Angst and overloaded itself with Huge Conspiracy plotlines way beyond my ‘give a damn’ point. In any case, the multi-part exam showcases a host of endearing characters (many of which later shafted in favor of much less interesting ones) and intense scenarios focused on fleshing their personalities and abilities to great effect. 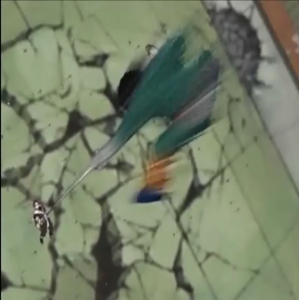 It also has a string of genuinely terrific one-on-one duels (Shikamaru’s brainy fighting style and ideals immediately made him my favorite, while Lee vs. Gaara is simply one of shounen anime’s most incredible and heart-breaking fight scenes), as a whole representing a high point that the series struggle to replicate afterward. Technically, this is really just a single tournament episode (the second episode in the 1989 TV series) instead of an arc, but it’s so good that I put it on this list anyway. 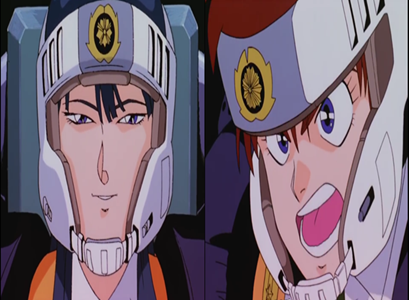 While the premise of the series and this particular episode seems to promise a lot of mech-on-mech action, the TV series of Patlabor always prioritize the development of its human characters, and this tournament in actuality serves as a foundation of superb character work that would follow for the many episodes to come. Smoothly highlighting the dynamics and quirks of the ragtag Division 2 personnel, it culminates in a great match-up between Noa Izumi and Clancy Kanuka, two of the finest female characters in anime history. 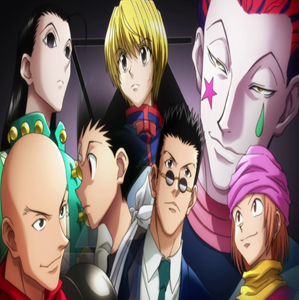 HxH opens with a bang, thanks to this idiosyncratic arc, which consistently ups its intrigue after every phase. 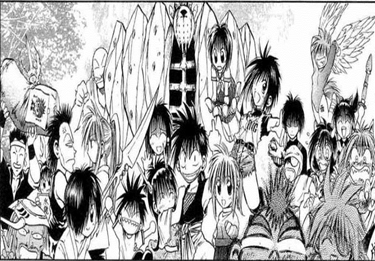 Yoshihiro Togashi presents what initially appeared to be a stock collection of characters and tournament tropes, before adding delightful little twists and a streak of ruthlessness that makes the whole thing unusually refreshing and unpredictable. A far cry from “whoever can punch the hardest always wins” type of scenario, our delightful leads have to rely on wit, resourcefulness, and mental fortitude to unlock every solution, resulting in classic character-defining moments such as the hunting game and Gon vs. Hanzo. Hands down, my favorite pure martial arts tourney. While the format itself is nothing extraordinary (beyond the interesting gimmick of splitting the fighters in bare-handed and armed divisions before pitting the respective winners in the grand final), what made this particular tournament feels so special is its timing. 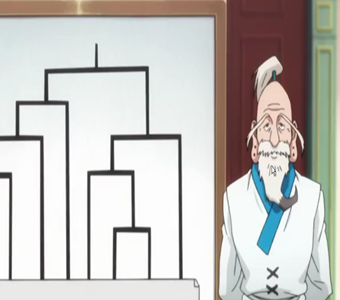 While most other fighting series don’t take long before eagerly unfolding the brackets, Ironfist Chinmi’s tournament is the climactic point of the main series, showing the eponymous main character as a charismatic martial artist who had matured from the goofy greenhorn he was at the beginning of the story. Add in a compelling assassination plot and an unpleasant reunion with an old friend/arch rival, and you’ve got a terrific closing arc, buoyed by Takeshi Maekawa’s beautifully drawn panels of exhilarating action—sadly, this part of the series is never animated. Despite all the juvenile cheesecake, there’s significant enjoyment I still derive by seeing the card matches in Yu-Gi-Oh played out. Kazuki Takahashi started out with an extremely dumbed down version of Magic: The Gathering, then continue to make up rules on the fly before eventually producing relatively refined mechanics in Battle City, the final tournament arc. 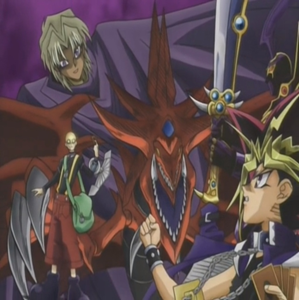 On top of having decent plotting (that is, if you can get over the whole ‘card game is life or death’ business), BC also cut down on the ‘believe in the heart of your card’ nonsense and featured genuinely fascinating tactical clashes, with Yugi outsmarting Marik’s overpowered Slifer card being a particularly inspired moment to me. 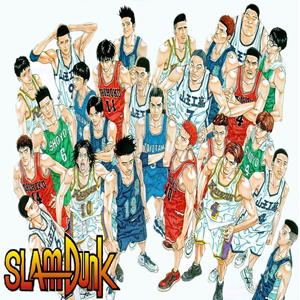 Takehiko Inoue probably would’ve been able to squeeze more stuff in Slam Dunk if he doesn’t insist on drawing and plotting a single match across several volumes (it only has a single tournament run over the course of its 27 volumes, which indicated a much slower pacing than most sports series), but honestly, I wouldn’t have it another way. Shohoku—an absolute joy of a team with mercurial talents and combustible personalities—still produced at least four epic basketball matches during this arc, and as Inoue’s artwork went from strength to strength, every dunk, dime, rejection, and incremental improvement from beloved red-headed Hanamichi Sakuragi becomes even more powerfully resonant. The entire manga itself is a huge tournament arc, and the rarest kind at that, in which every single match-up is pure battle of wits. 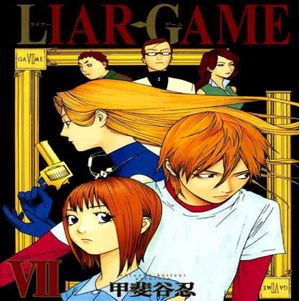 It has its roots in the classic psychological manga Kaiji, but this one ups the ante by having increasingly complex series of games that threw numbers, percentages, and chapter-long explanations at you… which, er, may not sound exciting at all, but the real meat and potato of Liar Game is the super entertaining psychological stratagem, sociopolitical commentary, and reaction faces that inevitably ensued. It lost its steam toward the end, unfortunately, but most of the scenarios (e.g. contraband smuggling simulation, modified Russian Roulette, musical chairs from hell) are still terrific. 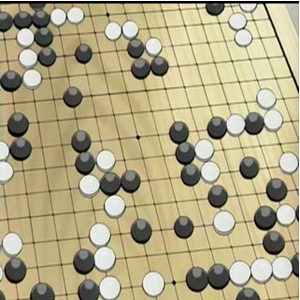 Twenty seven rounds in full round robin format, with only the top three earning the privilege of breaking through the ranks of professional go players. It’s a grueling process for this group of people, who had sacrificed so much of their life to chase this dream, but in the end of the day not everyone would make it. Heck, only a really small minority of them ever would, and as fascinating as it is to see wunderkind main character Hikaru ascends rapidly, the veteran players’ plight are even more compelling to me. 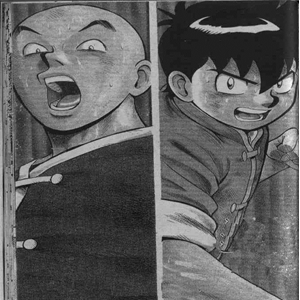 As this arc encapsulated, It’s not really the play-by-play of the go itself that endeared many to the series, but the competitive drama comprised of individual growth, intense rivalry, and that elusive search for triumphs amidst all the crushing losses and setbacks. 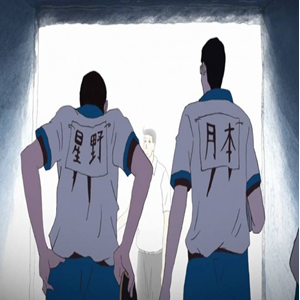 Speaking of glorious triumphs and broken dreams… Ping Pong broke through into collective consciousness with Masaaki Yuasa’s adaptation of Taiyou Matsumoto’s work, which managed to transcended the usual trappings of sports series with razor sharp character work. Zeroing on a quartet of players and how the competitive culture shaped them, it’s a great ride with even more added value from Matsumoto’s idiosyncratic art and a collection of lingering moments (“blood tastes like iron…”). This final tournament arc is a great narrative climax, where the psychological meat is at the juiciest and the ping pong action is most dazzling—no less evident in the breathtaking final showdown as well as the best final sports match I’ve ever seen in animango form. This one is personal. My cousin told me recently in phone convo that he’s been re-watching Shoot! and just got to That Part. I don’t even have to ask what “part” he’s talking about—I already knew. Early Shoot! 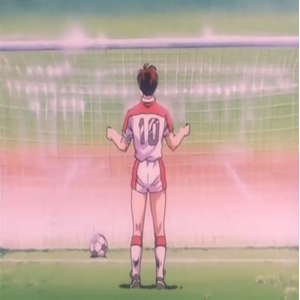 is such a damn good sports series, mixing up well-grounded football action, terrific character interplay, and bittersweet romance really well (sort of like if Mitsuru Adachi made football series, only with better art and match depiction); and even if the first tournament arc really only featured three notable matches and ended in appropriately depressing finale, there’s one brilliant moment that simply defied audience expectation and marked a dizzying emotional apex in the series.. It felt a bit silly to get emotional over fictional media and made-up characters, but just as real life transcendental moments in sport permanently etched themselves in the memories of those experiencing it, the moment of No. 10 Kubo Yoshiharu grabbing a match by the scruff of its neck and creating a legend all by himself would always be an extremely special one to me.